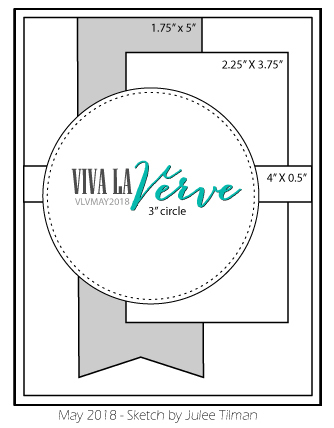 It is Anya here today to bring you our last Viva la Verve sketch challenge for May! We've had 5 May challenges... play along with us and link each of your challenge creations to our Entry Form link list. The link list will be up for the whole month and we'll choose a random winner at the end of the month to win a $100 gift voucher to Verve. Challenge rules can be found on the Rules tab at the top of the blog or by clicking here. You don't have to complete all of the sketches to win, but the more cards you enter, the greater your odds of winning. Verve stamps are not required to play, but we do love to see 'em! We'll also be highlighting a couple of our favorite link-ups each Tuesday, so be sure to get your links in if you're crafting over the weekend. 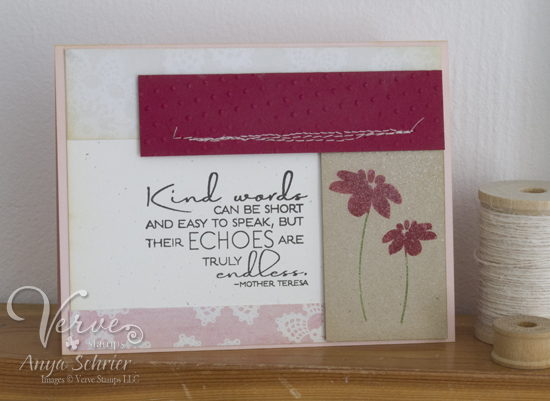 Created by Anya Schrier using the Kind Words stamp set. 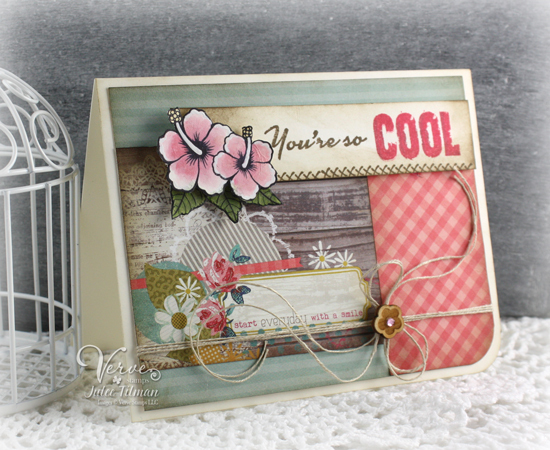 And here are a couple fabulous samples from Maureen and Julee! Created by Maureen Plut using the Forever in our Hearts and Stronger Love stamp sets along with the always fabulous can't-get-enough-of-'em Shine Bright Sequin Mix.